In an effort to compete with Amazon, improve customer convenience, understand their customers more and even increase revenue, many manufacturers and distributors are looking to sell directly to consumers. While there are clear benefits for doing so, many B2B companies have yet to make that jump for fear of alienating valuable sales partners. It should be expected that more manufacturers and distributors will sell directly in the coming years, but some have figured out how to support customers, retailers and their own bottom lines without doing so quite yet (if at all). A store locator has been the go-to option for B2B companies to get their website visitors to a retail partner. Sewing machine manufacturer, Janome, takes this feature a step further by creating personalized landing pages for each dealer (the company uses Episerver and Marketo). 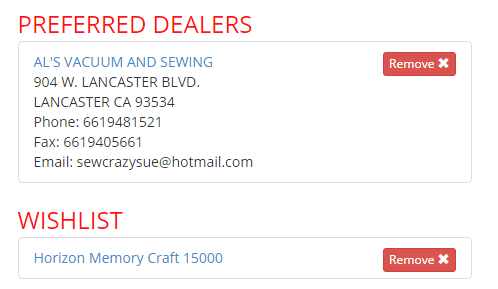 This allows for more information about the dealer, including contact information and user-generated content. What's more, a registered Janome.com user can set a preferred dealer, in order for their experience to be personalized more. Abandoned shopping carts are a problem for all retailers, but those selling directly to consumers must understand the shift of using shopping carts as a wish list (to go back to later). While smart retailers keep shopping carts longer and, of course, remind consumers to buy what they abandoned, smarter retailers provide wish-list capabilities. While Janome does not sell directly to consumers, it does provide a wish list, which allows for users to take their time comparing different machines. While Janome has starter models, many of its products are a large investment by their customers, so Janome is smart to support them with a wish list, while reminding them of the vendors available to purchase from. With thousands and thousands of active members, the community at Janome is helping customers support customers by sharing what they've made and how they did it. One of the main reasons a manufacturer decides to sell directly to consumers is to develop this kind of brand relationship that Janome has done by offering a community for its users. A consumer will always tie their experience with a product to the manufacturer or distributor, rather than the retail partner. This is why it's important a B2B company not only listens for brand mentions across the Web (particularly on social media), but also has content available to support the end-user. Janome is smart to hold webinars and local events, as well as publish material like techniques and software lessons. 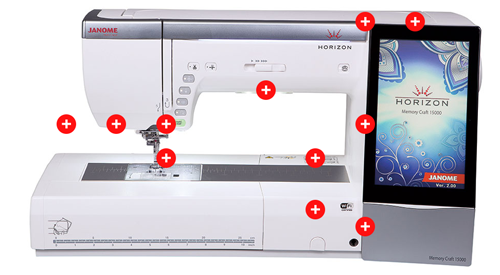 What's more, Janome has an extensive amount of product information available on each of its product pages. While not all manufacturers and distributors are ready to sell direct (and may never be), it's not enough to have a website for only marketing reasons. The examples given above from Janome's website present how to be available to end-users in myriad ways, while gathering valuable insights on a customer base, such as location, buying history, level of brand advocacy and more - which just hasn't been available to manufacturers in the past.